Wouldn’t this be a perfect gift for your mom? It’s vintage, it’s got great style, and it would actually do something, as in providing storage. Or it could be, you know, a gift for your living room, where you could use it to keep the kids’ toys, or the dog’s stuff – or yours – in some kind of accessible order. While looking good. 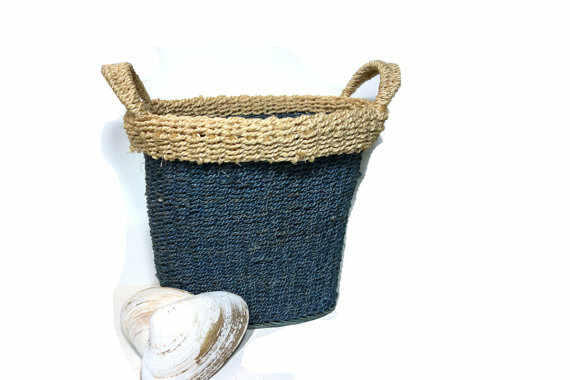 It doesn’t actually have to be a “beach house” basket, it just looks to me like it could be casually sitting on the porch at Martha’s Vineyard, or even better, on Little Deer Key. I found this treasure at Amid The Ruins, a quite wonderful vintage boutique at Etsy. TW, the shop owner/curator, has some fabulous finds there – and beautifully clear, informative pics, providing the visual information you need when you’re going to buy something online. Go there. You’ll thank me. A beautiful quilt – and DIY inspiration! 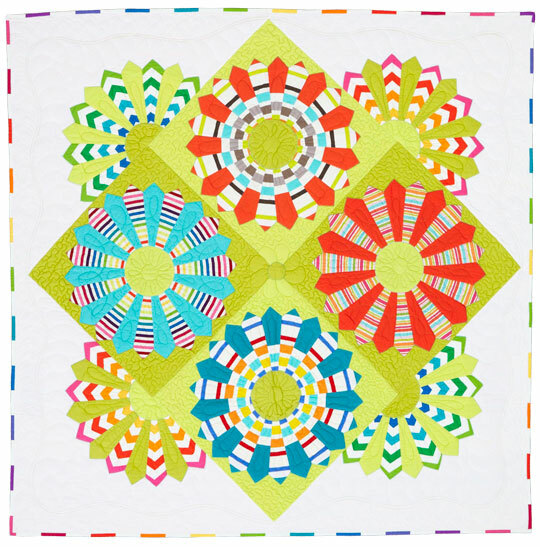 Of course, just seeing this quilt is inspiring – the intricate, lovely design, and those cheerful happy colors! And then we get to the “DIY inspiration” I mentioned. First, you could buy one from the designer, which would mean you’d have a beautiful piece of useable art and an heirloom for your kids. But if you want to Do It Yourself (or have to because, well, funds are limited) – think about it. You could use a quilt design as a template for recycled fabric scraps, discarded t-shirts, or old neckties, and use the design as a quilt – or as wall art. Take the idea further – you wouldn’t have to use fabric. How about cut out magazine images? construction paper, or too-creased-to-use-again wrapping paper. You see what I mean? Endless options – and using recycled materials, almost cost-free. There are a LOT of inspiring quilts out there. Until you can buy one of these masterpieces, well, make your own! I’m not usually into “cute”. But these? 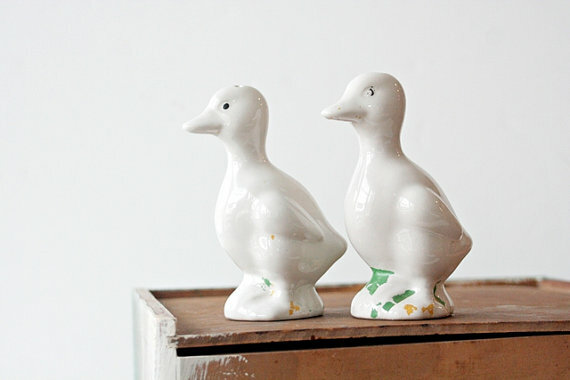 These aren’t just cute, they are adorable and darling and other words I don’t usually associate with salt and pepper shakers. I want them to have a good home. They’re from the 1950s. They should be loved for at least another 50. They are currently living with Ms Jeannie Ology on Etsy and I know she wants them to have a loving home too. If you search for them and they are already gone, I will be sad with you – but then you should look around at Ms Jeannie’s other vintage treasures because there are many and they are wonderful. Truly, almost, really as special as those little ducks. First – I am not organized by nature. I have to work at it, because if I don’t, stuff grows around me in piles and jumbles and pretty soon I can’t find anything and, well, you’ve been there, right? So: organization is good. DIY is good. Free or cheap is good. 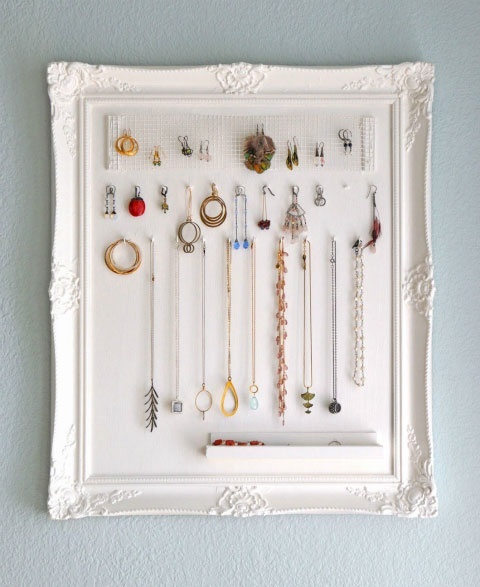 And speaking of great storage and DIY organization ideas – follow that pin to its source and you’ll find I Heart Organizing Blog. Jen, the blogger, has TONS of great storage ideas over there. And it’s fun to read! P.S. And if you’d like a little organizational help – check out Jen’s I Heart Organizing Etsy shop, too!